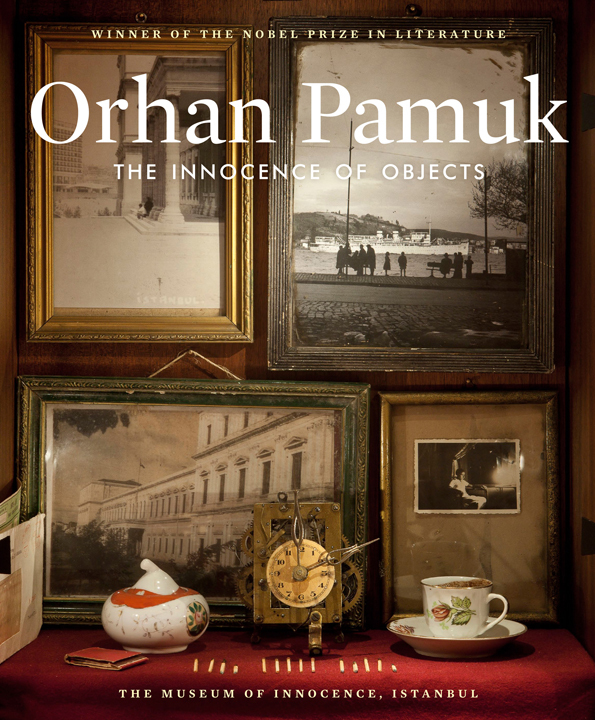 In a week that has strongly reinforced my belief that large international art fairs, however else you want to defend them, are the worst possible, most sterile environments ever conceived for viewing art -- the amazing book that I now have before me, Orhan Pamuk's The Innocence of Objects, makes me want to stand up and shout! It is a triumph of intimacy over sterility, depth over superficiality and humanity over inhumanity. It is also the most perfect intersection of art and literature that I have ever encountered. "The more objects I collected for the museum, the more the story in my mind progressed. Sometimes I'd spot a teacup I wanted in an acquaintance's house or inside the old cupboards where my mother kept the pots and pans she no longer used, her porcelain, her sugar bowls, and her trinkets for display, and one day I'd take it without telling anyone that it was destined for the museum." The museum consists of 83 numbered display cases, each referring to a chapter in the novel: assemblages of bric-a-brac, items rummaged from junk stores in the back streets of Istanbul, photography of old Istanbul by Turkish photographer Ara Güler, illustrations by Pamuk himself (a former painter) and others, and convincing molded plastic food made especially for the museum. "Kemal first told me what he had been through over the course of three hours in a restaurant. When I decided to write a novel about his love for Füsun, we inevitably became friends. On many a night over the seven years between March 2000 and February 2007, I sat in the attic on the chair on the right and listened to his story." 11. The future of museums in inside our own homes. The Museum of Innocence, Istanbul, Turkey, photo credit: Refik Anadol. Abrams.